Looking for a superior solution to an old problem? That is why Fluidmaster has introduced the Better Than Wax no leaks, worry-free toilet seal. Why Better Than Wax? This innovative wax-free toilet seal fits any drain, any toilet, can be repositioned during installation, and excessive plunging won't cause leaks. Plus, you don't have to worry about getting wax on your hands, floor, and toilet. Better Than Wax includes a stackable wax-free seal, slide-on spacer, and no rust brass bolts & hardware. Complete your next project feeling confident that you have chosen the Better Than Wax Toilet Seal. Product Description Danco is one of the largest plumbing repair, replacement, and remodel suppliers in the home improvement industry focused largely on empowering 'Do-It-Yourself' consumers with plumbing solutions that are as practical as they are affordable, giving your home a more fresh appeal and renewed elegance. We provide stylish design-oriented innovative home solutions that are user-friendly to support and encourage customers to tackle home improvement tasks on their own - without the heavy price tag of professional services. 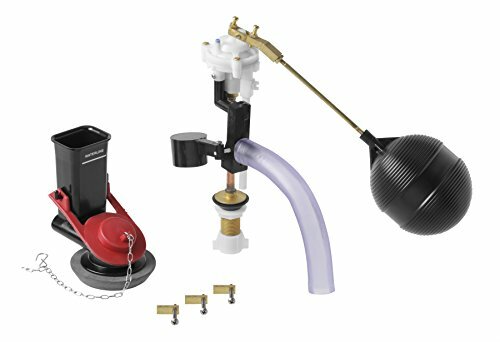 Next by Danco exemplifies a line of state-of-the-art plumbing repair parts that empowers the DIYer and Professional to do more than just solve the problem. Don t just repair it. Improve it. The Perfect Seal wax ring is an innovative new product that takes the guesswork out of toilet installation. It fits any drain size and flange depth. Whether your flange is above the floor or below the floor due to re-tiling, the Perfect Seal guarantees a perfect seal the first time - every time. 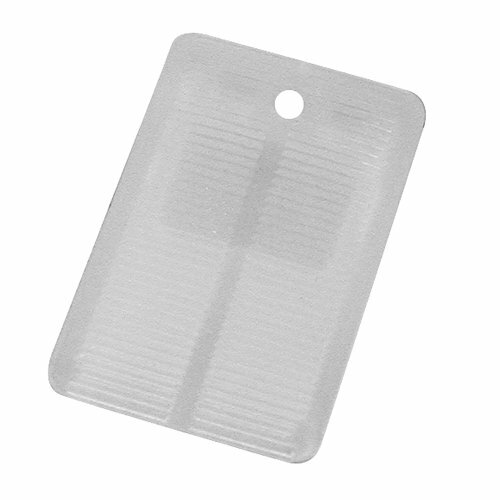 The patented seal design combines specially designed rubber gaskets with encapsulated wax to form a seal that is 3x's stronger than a wax ring without the mess. 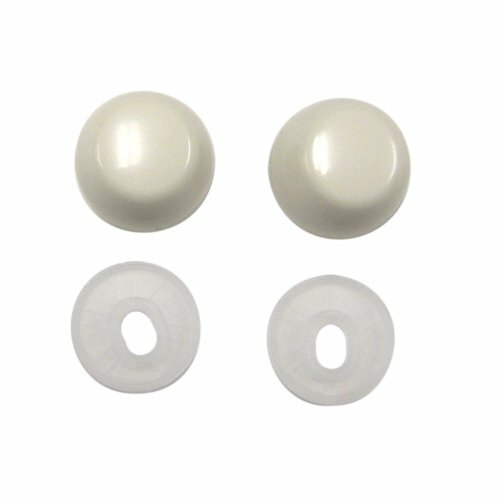 Unlike wax rings, the Perfect Seal stabilizes toilet bolts and allows the toilet to be repositioned as needed. It accommodates flange heights from 0.5 inch above the floor to 1.5 inches below the floor and maintains a tight seal when common toilet and floor movement occurs. Depending upon the height of the floor flange and the toilet horn, there may be instances when the toilet may not sit flush to the floor. In these situations, the black plastic ring inside the gray rubber casing of the Perfect Seal can be removed. The removal of this hard plastic ring will allow the Perfect Seal to be fully compressed and the toilet should then sit flush with the floor. Try one today! From the Manufacturer Next by Danco exemplifies a line of state-of-the-art plumbing repair parts that empowers the DIYer and Professional to do more than just solve the problem. Don t just repair it. Improve it. NO MESS: Hidden wax ring delivers a no-mess installation with 3x's stronger seal than wax rings. Toilet can be repositioned as needed. FIT: Accomodates toilet flange heights from 1/2 inch above the floor to 1-1/2 inches below the floor. 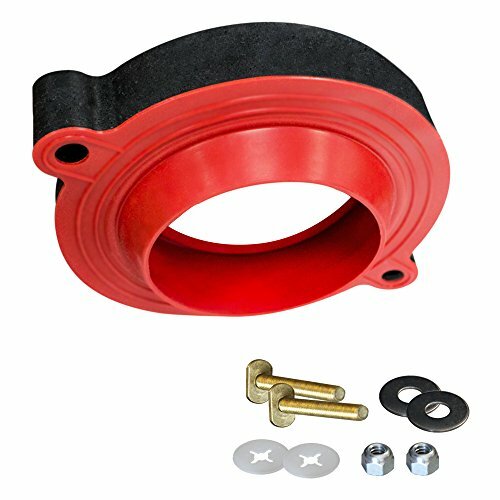 Inner Dimension of adapter is 2-5/8 inch; Inner Dimension of Center of Seal is 2-3/8 inch. INSTALLATION TIP: If toilet does not sit flush to floor, the black plastic ring inside the gray rubber casing can be removed allowing the Perfect Seal to be fully compressed. Danco is one of the largest plumbing repair, replacement, and remodel suppliers in the home improvement industry focused largely on empowering 'Do-It-Yourself' consumers with plumbing solutions that are as practical as they are affordable, giving your home a more fresh appeal and renewed elegance. We provide stylish design-oriented innovative home solutions that are user-friendly to support and encourage customers to tackle home improvement tasks on their own - without the heavy price tag of professional services. 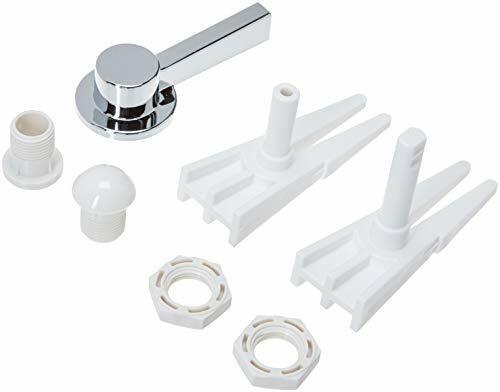 The All-In-One Toilet Installation Kit includes the Perfect Seal Wax Ring and Zero Cut Toilet Bolts, making a toilet installation project a one person job. 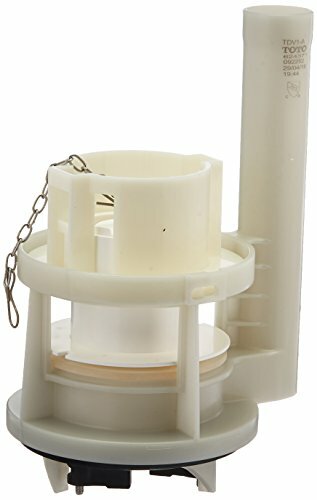 The Perfect Seal is a universal toilet wax ring that works with most drain sizes and flange depths. 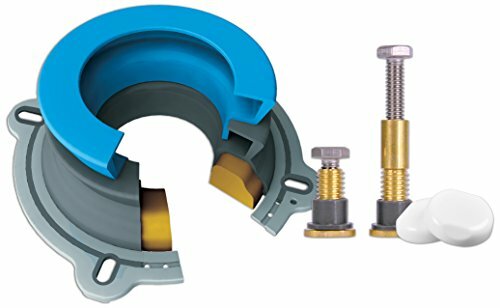 Whether the flange is inch above the floor or 1-1/2 inches below, the Perfect Seal guarantees a perfect seal every time. 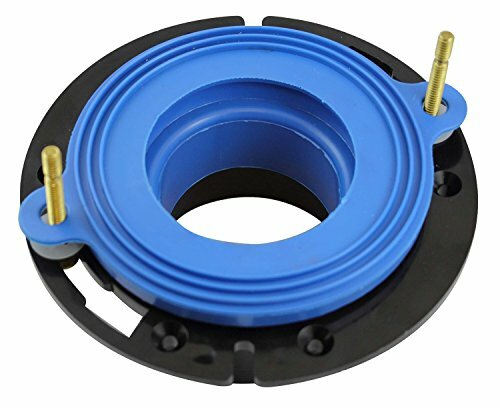 The patented design combines specially designed rubber gaskets with encapsulated wax that forms a seal three times stronger than a wax ring without the mess and allows the toilet to be repositioned if needed during installation. The Zero Cut Bolts eliminate the hassle of typical toilet bolts that are too long, wobble and are difficult to line up when setting the toilet. 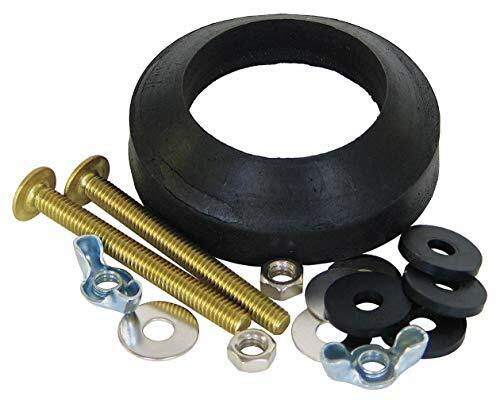 The universal bolts work with flanges above or below the floor and can be adjusted in height from one inch to three inches without cutting, removing the threat of chipping or cracking the toilet due to over tightening. The sliding adapters tighten the bolts and attach the low profile bolt caps. The All-In-One Toilet Installation Kit makes toilet installation easy. Order yours today! Danco is one of the largest plumbing repair, replacement, and remodel suppliers in the home improvement industry focused largely on empowering 'Do-It-Yourself' consumers with plumbing solutions that are as practical as they are affordable, giving your home a more fresh appeal and renewed elegance. We provide stylish design-oriented innovative home solutions that are user-friendly to support and encourage customers to tackle home improvement tasks on their own - without the heavy price tag of professional services. The HydroStop replaces flimsy rubber flappers with a sturdy tower and is engineered to eliminate the most common toilet problems. 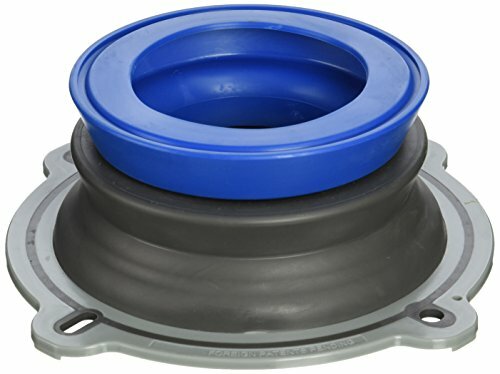 Unlike the angled, floating close of a flapper, the HydroStop drops vertically and solidly onto the flush valve opening to create a better seal and eliminate leaks. The EPA estimates that 20% of all toilets leak up to 200 gallons of water a day, mostly because of faulty flappers. While ordinary flappers are connected to the handle with a thin chain that is subject to improper tension tangles and breakage, the HydroStop features a durable stainless steel cable that is stronger, lasts longer and is less likely to break. The HydroStop also features patented S.T.O.P. Technology (Safe Toilet Overflow Protection) that helps prevent bowl overflows. In the event of a clog, lifting up on the handle immediately drops the HydroStop tower and closes the flush valve so that water does not continue to drain from the tank into the bowl. Upgrade yours today! COMPATIBILITY: Easily adjust to work with newer and older toilets. Fits most front, side, and angle mount toilets with standard 2 to 2-1/2 flush valves. Does not fit Mansfield toilets. 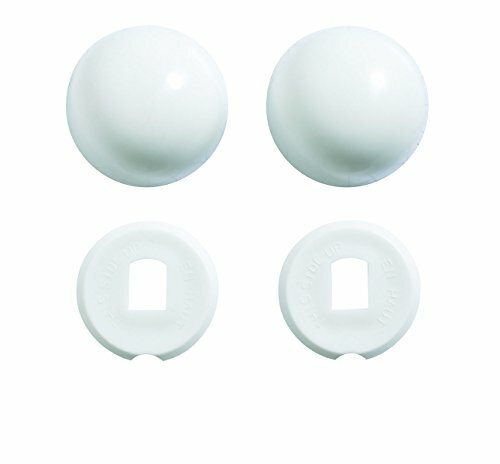 The WaxFREE Seal Kit is a cleaner alternative to using a wax ring during toilet installations. As temperatures fluctuate, the consistency of a wax ring can range from a sticky mess to a hardened block. The WaxFREE Seal Kit s rubber exterior creates a tight seal between the floor and the toilet. The two-piece foam interior adapts to fit flanges that are above, even with and below finished floors, with absolutely no mess. Another great benefit of the WaxFREE Seal Kit is its ability to be repositioned during installation. A wax ring can be ruined and must be replaced if the toilet is not set properly on the first try. The user-friendly Wax free toilet gasket allows for multiple toilet setting attempts. Resistant to harsh chemicals, the WaxFREE Seal Kit is manufactured with the same proprietary red Chlorazone that is found in all Korky premium red flappers. Easy to install, the 6000 includes: (1) Toilet Gasket, (1) Set of Hardware and (1) Instructions. Danco is one of the largest plumbing repair, replacement, and remodel suppliers in the home improvement industry focused largely on empowering 'Do-It-Yourself' consumers with plumbing solutions that are as practical as they are affordable, giving your home a more fresh appeal and renewed elegance. We provide stylish design-oriented innovative home solutions that are user-friendly to support and encourage customers to tackle home improvement tasks on their own - without the heavy price tag of professional services. The Zero Cut Bolts were invented by plumbers in response to consumer research that revealed bolts were one of the biggest problems associated with toilet installation. These bolts solve all these problems and make toilet installation faster and easier. In an ordinary installation, toilet bolts are frequently too long, wobble and are difficult to line up. Zero Cut Bolts solve all of these problems with innovative components that take the hassle and the guesswork out of toilet installation. Zero cutting; Zero tools; Zero problems. Order yours today! NO TOOLS OR CUTTING REQUIRED and will not damage or scratch the enamel. 6106 2-3/4-Inch Tank to Bowl - Three Bolts and Gasket. 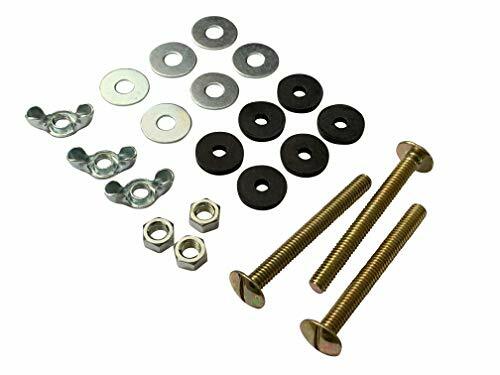 Durable solid-brass bolts with washers and nuts. Installs Easily. Used to attach toilet tank to the toilet bowl. Contains 3 brass 5/16 x 3 bolts, washers, hex nuts, rubber washers. Fits Most Brands Easy to install. Niagara handle repair kit. . This is manufactured in China. Handle repair kit. 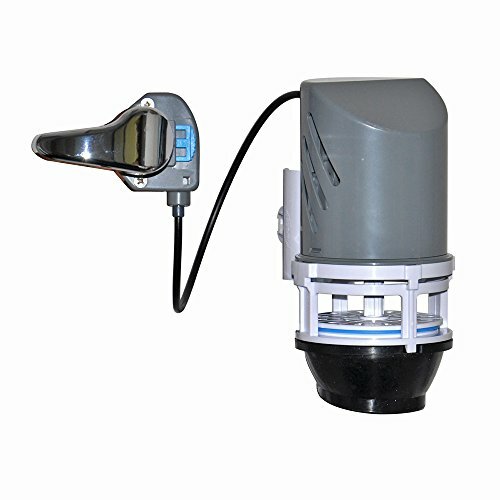 Adjustable anti-siphon fill valve with built in float. Long life rigid body flapper with chain. 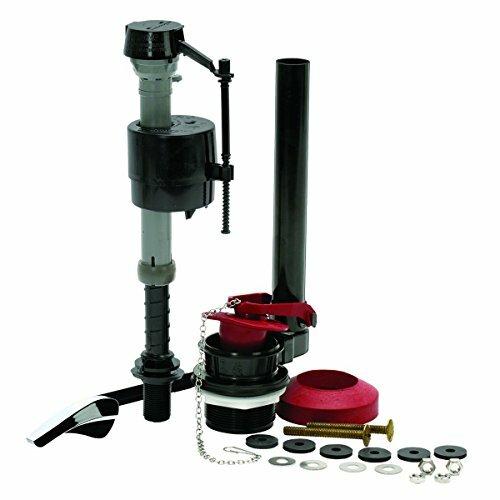 8-Inch to 12-Inch Adjustable Height Ballcock with Non-corrosive Delrin Construction has Positive Seal Shut-Off. Easy do-it-yourself installation instructions. 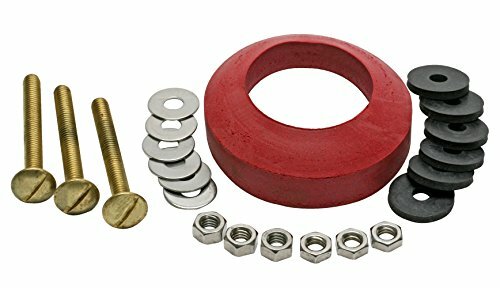 Kohler 84499 1B1X Conversion Kit. 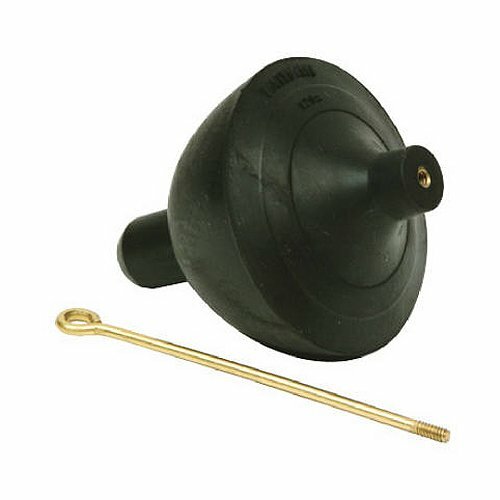 Master Plumber 225-052 Rubber Toilet Tank Ball is weighted for better seal. Includes metal self aligning lift wire. Comes in carded package. Rubber construction.